The rise of small scale malting operations created with the country’s craft breweries in mind is something The Crafty Pint has covered regularly in recent years. But, as the local beer landscape continues to twist itself into new shapes, some of the country’s largest players are taking notice and launching new products targeting local breweries. 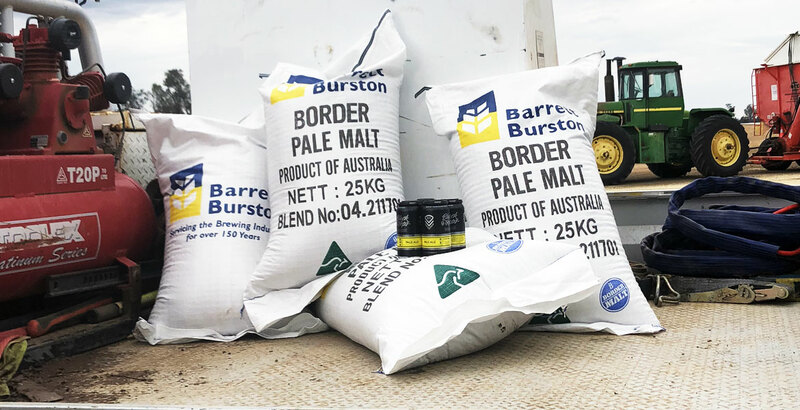 As winter drew to a close, Cryer Malt, part of Barrett Burston Malting, announced the launch of Border Malt, a new range designed for the breweries of South East Queensland and northern New South Wales. The company's founder, David Cryer, explained that craft beer's focus on the local led them to introduce a malt for the region's rapidly growing number of breweries. “With Queensland being such a popular market and with us having our maltings there we thought we should create something for that region,” he says. 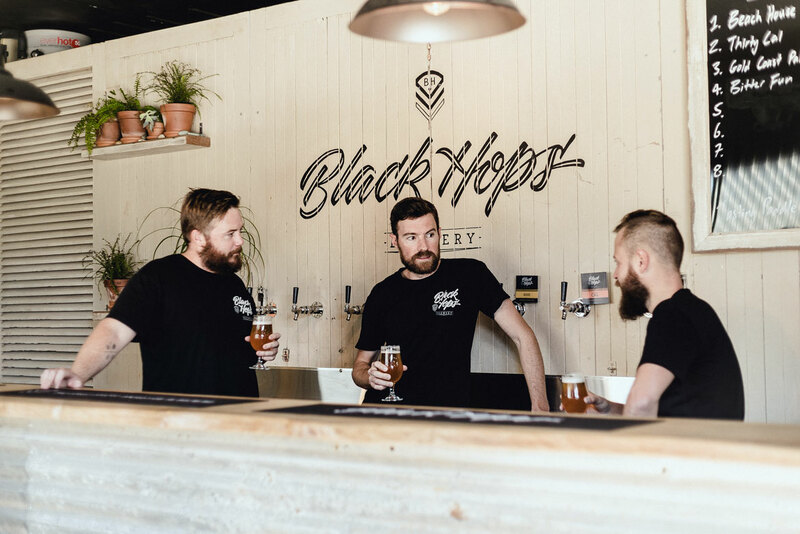 Breweries have been quick to embrace the new product: Gold Coast's fast-rising Black Hops is the first to brew with it, with brewery co-founder and head brewer Michael "Govs" McGovern telling The Crafty Pint the brewery was keen to support a malt that championed their locale. “It’s more of a regional thing than a new product," Govs says. "As craft brewers, we like to support and embrace our local supply chain. As the number of craft breweries grows, Govs says the industry has been attracting more interest, whether it's the Queensland state government's announcement of a craft beer strategy or large maltsters creating new products with local breweries in mind. Michael McGovern with fellow Black Hops founders Dan Norris and Eddie Oldfield. The initial Border Malt release is a pale malt that uses barley grown in the northwest of New South Wales. Looking ahead, while all barley under this banner will be malted at Barrett Burston’s Pinkenba facility on the Brisbane River, depending on the growing season it may also be sourced from further afield. The preference will always be for barley grown locally, but ensuring quality and consistency requires flexibility. Barrett Burston has a history that can be traced back to Ballarat’s Gold Rush and is now part of the GrainCorp Group, the world’s fourth largest malting company. It's a business that traditionally deals in huge batch sizes and global supply chains, meaning in years gone by it might have been unusual to expect it to take an interest in Australia’s smaller breweries. Also taking a new approach with the craft brewer in mind are brewing ingredients supplier Bintani and Joe White Maltings. 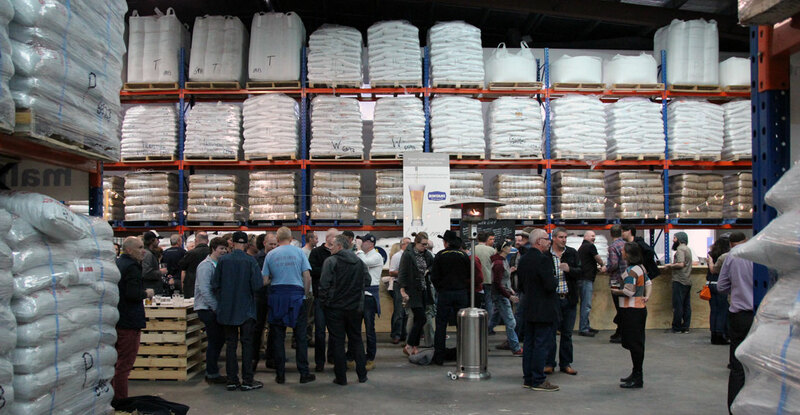 During this year’s BrewCon in Sydney, the two companies announced the launch of Signature Malt: it's made from barley sourced from each season's best performing growing region. Like Barrett Burston, Joe White has roots that run deep into Australia’s history, is set up to service the needs of the country's biggest brewing companies and is now under international ownership. In this case, the owner is Cargill, America’s largest privately-controlled company with interests in myriad food and agricultural products worldwide. To understand the size of the company, try this: every single egg used in an American McDonald's passes through Cargill’s hands (as does a lot of the beef). Malt stacked high inside Bintani's HQ in Melbourne. Dale Meddings is part of the family that founded and runs Bintani and says he’d been talking to Joe White about creating a new premium malt for craft breweries for years. “There were a couple of really rough seasons where, across the board, the quality was patchy,” Dale says. “We saw a couple of spots in Australia during that season that had really good barley; despite the bad season, there were a couple of spots that really performed well. In 2018, the Signature Malt has been produced from LaTrobe barley grown on a single farm in New South Wales and has featured in beers such as Two Birds' Uncharted IPA; next year, Dale says the malt is likely to come from Western Australia due to the promising outlook of this year’s west coast cereal crop harvest. “The malt's gone right across the country,” Dale says. “It’s gone to homebrewers, smaller craft breweries and a couple of the bigger ones too, so it’s been really well received." Cargill has spent years working with craft breweries in the States, so has experience in this area. And now its Joe White subsidiary is following suit. Just as the growing number of craft beer drinkers is leading some old pubs to look past their tap contracts and changing tastes in beer are forcing multinational brewers to launch new products or buy craft brands, the demands of the local industry is leading global producers to rethink how they operate too. Chris Sidwa, co-founder and head brewer at Batch Brewing Co in Sydney, who has long championed the virtues of smaller maltsters and been vocal about the inability of the larger businesses to service the needs of the country's brewers, said it might be a case of "the big guys trying to protect their turf", telling The Crafty Pint: "If people are starting to ask about provenance then they want to be ahead of that curve. “At the end of the day it comes down to the motivation of the companies putting out the product. If they are trying to look and act one way when the fact is that they are still multinational companies looking at their balance sheet and not their impact on the community then that will play out over time. 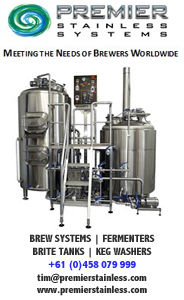 The Collaborators series focuses on businesses working in tandem with or launched to service the craft beer industry. You can find other articles in the series here, including those on small maltings and the development of a large scale operation by Coopers in Adelaide.